Milove, Ukraine – A smartly dressed young man walks down a foot bridge over a village high street clutching a black laptop bag. Just several steps earlier above the ground, Maxym Brus – a 20-year-old Ukrainian student – was in a different country, Russia. Milove is a good visualisation of Ukraine’s current situation. Just like Ukraine, it is torn into two pieces by the weight of its historical past. Following years of animosity between Moscow and Kiev, in August 2018, Russia – Ukraine’s historical master – erected a border fence along Milove’s high street that ironically still carries its Soviet name: Friendship of Nations Road. During the Soviet Union, Ukraine and Russia were part of the same country. There were no borders between the Soviet states, and the administrative-dividing line Milove sat on did not matter at the time. Even after Ukraine became independent, Milove residents continued their intertwined borderless lives. But the situation changed drastically because of the conflict that erupted between Kiev and Moscow following the ouster of Ukraine’s Russia-backed leader, Viktor Yanukovich, in 2014. Russia annexed Ukraine’s Crimean Peninsula and backed armed separatists in the country’s southeastern regions of Donetsk and Luhansk. The ongoing conflict has killed more than 13,000 people. Russia’s move in Milove split families and friends. “Before the fence, our village shops had everything. The population was bigger. Since the fence, people started to close up shops and move away,” Brus tells Al Jazeera. Brus, who is studying in Russia at the Road Institute of Shakhty, a branch of the South-Russian State Polytechnic University, just like each Milove resident Al Jazeera spoke to blames politicians for the situation. 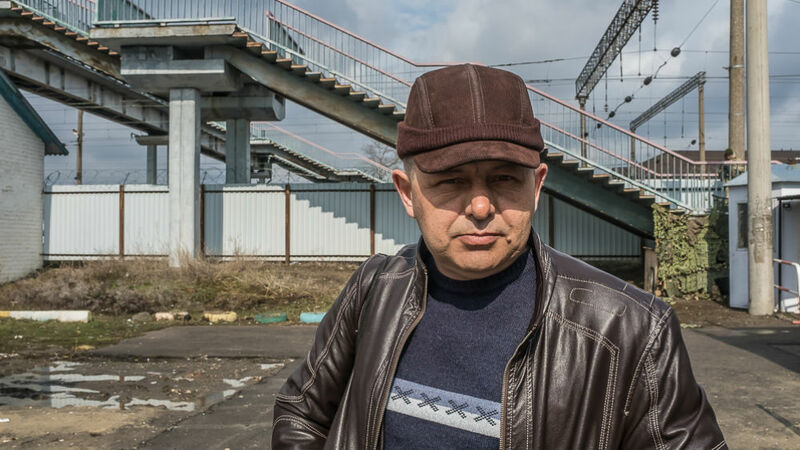 “Nobody [on the Russian side] knows why this [the fence] came. My friends can’t tell why this happened. If the Russian public had a vote on the fence, they would have rejected the project,” he says. 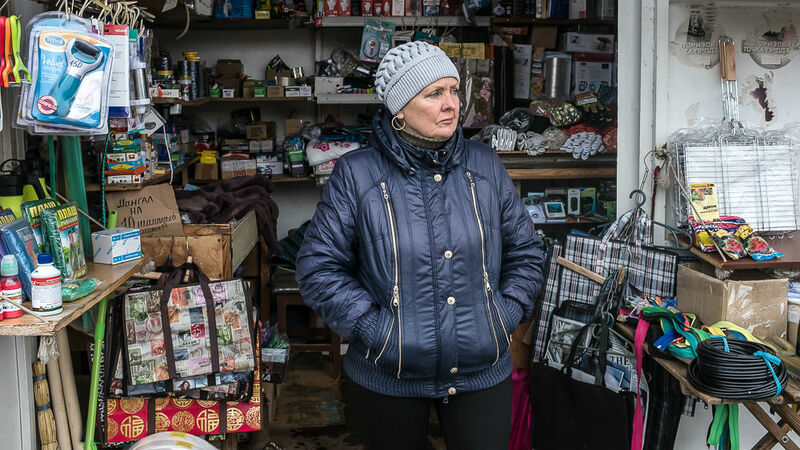 Lyudmyla Oleksiivna, 64, a vendor of nick knacks at a street market in Milove, misses the time when both sides of the border line used to enjoy festivities together. “Everything was well before [the fence]. We used to live in friendship. There were concerts and musicians used to come from all over. We used to have joint festivities in October. Nobody cared you were Russian or not,” she says. Andrii Petrovych, a street vendor selling animal feed just across the fence, does not shy away from blaming Kiev for Milove’s woes. According to him, the village is paying the price for Ukraine’s aspiration to forge closer ties with the European Union and rejection of Russia. “We lived together before, it was better. And then they wanted to go to Europe, damn it,” he says angrily and starts to pace around in the muddy path that is supposed to be pavement. Ukraine’s presidential elections are scheduled for March 31 with a record number of candidates vying to become the war-torn country’s sixth president. According to opinion polls, Poroshenko is trailing in third spot behind opposition leader Yulia Tymoshenko and the front-runner, a comedian, Volodymyr Zelensky. 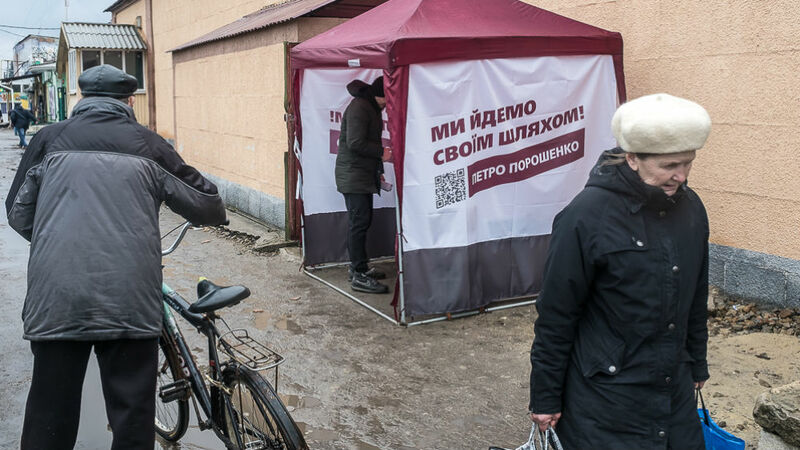 Political novice Zelensky’s stronghold is Ukraine’s Russian-speaking areas such as Milove. “Look at the [pot-holed] roads in Milove. Does it seem like something was done for the town over the last five years?” he says. Brus, who might have to commute back from Russia specially to cast his ballot on Sunday, says he will also risk giving power to the inexperienced candidate rather than support the top two corruption-tainted political heavyweights.